Madison residency graduate and Hmong health advocate Kevin Thao, MD, MPH, will begin his return to Wausau in July. UW Department of Family Medicine (DFM) graduating resident Kevin Thao, MD, MPH, has his sights set on Marathon County. After many years in Madison—where he completed his undergraduate, medical, and master of public health degree, along with a family medicine residency and numerous community projects to improve Hmong health—Dr. Thao will begin the return to his home city of Wausau in July. 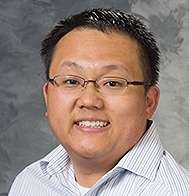 He’ll join the DFM’s Aspirus-affiliated residency clinic in Wausau, complete a DFM primary care research fellowship in Madison, and continue outreach work to improve the health of Hmong people in Wisconsin. Dr. Thao, who came to the U.S. from Thailand as a young child, is one of the first in his family to experience education. His interest in improving Hmong health was sparked while a student at the UW School of Medicine and Public Health (SMPH), when he began investigating the health disparities facing that population and found that little data even existed. At the same time, he was leading outreach projects to improve Hmong health literacy. He translated health information into formats that Hmong patients could use, and held educational workshops for local Hmong communities—work that earned him a DFM McGovern-Tracy Scholarship in 2008. Dr. Thao sharpened his research goals during the primary care research fellowship he began before entering residency. He began working with DFM investigators who are using the UW PHINEX database to better understand health determinants within populations in the UW Health ambulatory setting. His initial survey of that data suggests that Hmong adults are at a significantly higher risk of diabetes—possibly as much as three times higher—than the general population. Beginning in July, he’ll split his time between Madison and Wausau as he completes that research fellowship. In the coming years, he also plans to collaborate with investigators from the Survey of the Health of Wisconsin to expand his research to include Hmong in Central Wisconsin. Capacity and coalition building are the other critical components of Dr. Thao’s work—both in Madison and in Wausau. In 2009, he partnered with Dane County Public Health and several colleagues to launch the Hmong Health Council of South Central Wisconsin. The group launched several interventions aimed at preventing chronic disease and promoting healthy lifestyles in Madison’s Hmong communities, including a video on the role of diet and exercise in diabetes prevention. Now, Dr. Thao is working to build a similar organization in Wausau, where the Hmong population is the second-highest in the state. To accomplish that, he’s partnering with a local Hmong community association, UW Stevens Point, Ministry Health Care, and the DFM’s Wausau residency clinic (which is affiliated with Aspirus). Published: April 2014, Updated April 15, 2014 to include primary care research fellowship information.